Jerome Lowenthal has been a prominent presence in the international piano world for more than a half-century. A former student of three legendary musicians – William Kapell, Eduard Steuermann, and Alfred Cortot – he has performed a voluminous repertoire that includes 63 different concerti. 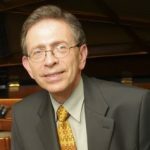 Mr. Lowenthal has recorded for numerous record labels, including RCA, Columbia, and Arabesque, and recently recorded the complete Années de Pèlerinage of Liszt for Bridge Records, as well as two-piano works (with Ursula Oppens) by Messiaen, Debussy, and Corigliano. The latter were released by Cedille records, and the Corigliano recording received a Grammy nomination. His recordings of opera paraphrases and fantasies were recently re-released by LP Classics, along with a live recording from Abravanel Hall (now Hahn Hall). Mr. Lowenthal has performed in a large number of chamber music festivals and collaborated in concerts with violinist Itzhak Perlman, cellist Nathaniel Rosen, and pianists Ronit Amir, Ursula Oppens, and Carmel Lowenthal. He has served on the juries of the Cliburn, Tschaikowsky, Rubinstein, Horowitz, and Bachauer piano competitions, to name a few. Besides giving masterclasses in North America, Europe, and Asia, he has been on the faculty of the Juilliard School since 1991. Mr. Lowenthal recently received an honorary doctorate from the Cleveland Institute of Music.